Blogger, TV host and actress Hanis Zalikha, aka Kek Nis, recommended this place on her Instagram recently. The photo she posted of fried chickens served with peanut butter sauce looks tempting, so I decided to check out Daro Crispy Chicken. Located along Jalan Telawi, getting a parking was hard. More like impossible, on a Sunday. We parked at Bangsar Village II. We exited from the side entrance and walked to Daro Crispy Chicken (which is next to Tous Le Jours). It wasn't crowded when we went there, Mum was already sceptical. "Is the food good ah?" she asked. 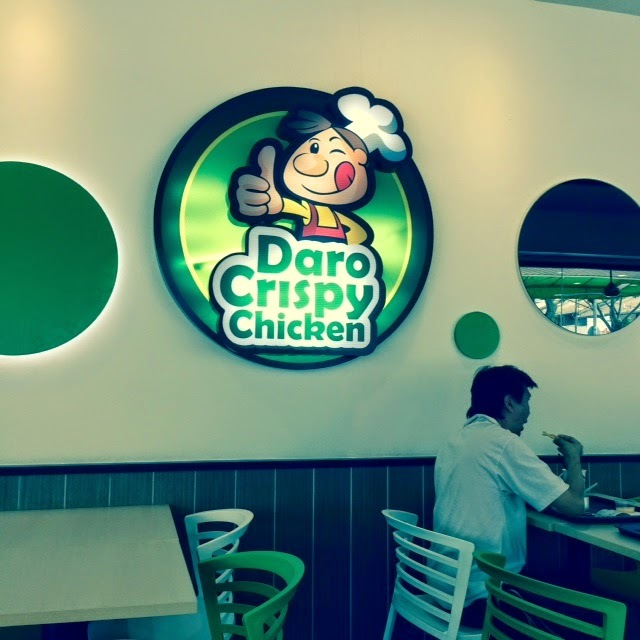 Daro Crispy Chicken is a fast food joint, and could potentially be a franchise. It serves, well, FRIED CHICKEN! So for us chicken eaters, there is another option for us to choose! There are a variety of meals for you to choose from. There's the chicken pieces, chicken chop, chicken wings and burger. And... and... what you'll definitely love about Daro Crispy Chicken is the sauce options: Peanut Butter or Honey Lemon. Peanut Butter???!! I know right... but it's still worth a try. Chicken Wings (6 pieces @ RM7.80) served with Honey Lemon. Chicken Chop Meal (RM10.60) with Honey Lemon sauce. It comes with a soft drink and coleslaw. Chicken drumstick (2 pieces at RM7.35) served with Peanut Butter. To be honest, I still love to eat my fried chicken with chilli sauce. However, the fried chicken and peanut butter is not a bad combination at all. The sauce is thick but if you're a fan of peanut butter, you definitely want to give this a try! Chicken are served hot, so hot that I had to wait for a few minutes for it to cool off. It's not too oily which is good. The coleslaw does not look tempting though, so I didn't touch it at all. Staff are super friendly. So expect to be greeted as you enter and leave the restaurant. This place is definitely worth trying, especially if you're looking for other options apart from the you-know-which-fast-food-joint right? Remember, try the peanut butter sauce!!! INFO: Daro Crispy Chicken, Lot 38, Ground Floor, Jalan Telawi, Bangsar Baru, KL. Check out their Facebook.